Johnstone & Cowling LLP is a boutique Labour Law firm located in Toronto, with an office located in London,and is currently seeking qualified applicants for the position of Legal Assistant forthe London office . The candidate will be responsible for assisting with the daily operations of the law firm and supporting office initiatives. Strong work ethic, professional demeanor, problem solving, exceptional organizational and time management skills are essential. Responsibilities: Provide general administrative and clerical support Answer multi-line phone in a professional and polite manner and direct calls accordingly Coordinate meetings, conferences, and various other appointments including all logistics and correspondence required Maintain calendar of meetings and appointments, track deadlines and timelines Manage legal documentation in strict confidence Prepare legal documents Essential Qualifications: 2+ years relevant experience Strong verbal and written communication skills Familiarity with legal accounting software Strict attention to detail Excellent time management, prioritization, multi-tasking and organization skills Professional, responsive and positive work attitude is critical Why J&C? Competitive salary and benefits Downtown location and easy to get to by transit We would like to thank all applicants for their interest in this position, however, only those selected for an interview will be contacted. Economical Insurance is continuing its build of an in-house legal team that will act in litigation arising from claims under its insurance policies. This is an exciting opportunity to join a growing litigation team! The Legal Assistant will be part of the Economical legal department and will be responsible for assisting in all administrative duties of the Litigation area, which includes compiling, comparing and organizing legal documents. The successful candidate will work under the direction and guidance of a lawyer and will assist with tasks as assigned. WHY ECONOMICAL? Because a changing industry calls for a new way of doing things. An ambitious, innovative and fast-paced company, we offer exceptional training and development programs, competitive pay, great benefits, company-matched RRSPs, and paid volunteer days — all within an engaging, fun, and collaborative work environment. Founded more than 145 years ago, Economical is one of Canada’s leading property and casualty insurance companies. We rely on our national network of more than 800 independent brokers to sell a range of car, home, business, and farm insurance solutions. With Sonnet and Petline, we’re extending our reach through the direct-to-customer channel. With more than 2,400 active employees across the country and a commitment to rethinking the insurance experience, we’re poised for great things. We’re now adding to our high-performance team to take us into the future. Let’s rethink insurance, together. In this role, you will: Arrange for service and filing of court documents and other duties as required Provide input into the procedures and practices of the new team Your Skills and Experience Minimum 2 years of experience as a Legal Assistant as part of a team practicing insurance litigation in Ontario Knowledge of the Rules of Civil Procedure Demonstrated proficiency with Outlook and all MS Office applications High degree of personal ethics, integrity and responsibility with an ability to deal with sensitive issues and safeguard privileged and confidential information Great attention to detail Ability to perform under pressure, meet deadlines and handle multiple, yet sometimes conflicting priorities Team player, adaptable to a changing environment At Economical, we all work together to come up with big ideas — then bring them to life. We focus on our customers first, we bring our best, and we’re stronger together. If you’ve got the passion and the desire to help us reinvent insurance, let’s talk. HOW TO APPLY To complete the online application process, you’ll need to upload your resume before you apply for the role you’re interested in. Please note that only one document can be uploaded, so be sure to combine your resume and cover letter. We are committed to providing an inclusive work environment that welcomes diversity and supports accessibility across the organization. If you require accommodation at any time during the recruitment process, please let us know by contacting: hrsharedservices@economical.com . Visit economical.com to learn more about us and what we’re up to. Economical Insurance includes the following companies: Economical Mutual Insurance Company, The Missisquoi Insurance Company, Perth Insurance Company, Waterloo Insurance Company, Family Insurance Solutions Inc., Sonnet Insurance Company, Petline Insurance Company. Lerners’ London office has an opening for a Legal Assistant to assist in the areas of Health Law, Class Actions and Insurance Defence . The main responsibilities for this role include: answering the telephone; opening and closing files; preparing and paying invoices; maintaining an effective BF system and following up on same; summarizing records (medical and OHIP); file maintenance in DMS and Caselogistix; communicating with clients and the courts; scanning documentation; dictation. The ideal candidate for this position will demonstrate excellent organization, verbal and written communication skills, and be able to work independently, as well as in a fast-paced environment. If you are interested in this position, please respond with your updated resume by February 8 , 2019. In accordance with the Accessibility for Ontarians with Disabilities Act, 2005 and the Integrated Accessibility Standards, Ontario Regulation 191/11, accommodations are available, upon request, to support potential applicants with disabilities throughout the recruitment, assessment and selection process. Should you require accommodation in order to fully participate in the process please contact us by phone at 519-672-4131 regarding accessibility in our London Lerners LLP is committed to diversity and inclusion in its workplace and encourages participation from all qualified applicants without discrimination. Siskinds is one of Southwestern Ontario’s leading law firms. We provide local and national service in virtually all areas of the law including personal injury, business and commercial law, class actions, labour and employment, family, estates, and litigation. Our team of over 80 lawyers and more than 100 support staff is dedicated to ensuring our clients receive exceptional service. Business Law Legal Assistant – Full-time (12 month contract) This position will require you to perform administrative support for our Business Law Team. These tasks include but are not limited to, opening/closing files, generating accounts, all general administrative tasks, compiling record books, correspondence, organizing minute books, drafting annual resolutions, and management of multiple databases. Our ideal candidate will have a post-secondary education (Legal Assistant/Law Clerk/Paralegal), 0-2 years’ relevant experience. New grads are welcome to apply. We need an intelligent (“quick to pick up”), enthusiastic and proactive individual. The role requires sound administrative, time management, and organizational skills. It also requires excellent communication skills (verbal, written and grammatical). Attention to detail is also imperative. Regular client contact will occur. You will work well both independently and within the team setting. You will have a sincere passion for new technology learning and application. You enjoy a fast-paced, multi-tasked and deadline driven environment. The following skills and attributes are also essential: Above average interpersonal skills Strong organizational skills with the ability to be proactive and follow through. Superior communication skills (both verbal and written) Detail-oriented Ability to multi-task, prioritize, and work to deadlines Strong client service skills, and finally Above average keyboarding/computer skills (primarily Word, Outlook and Adobe) We are a truly a cohesive team, and as such, being a team player as well as having a strong technical ability and a positive attitude will make you a top runner, and ideally our chosen candidate. We offer a technologically advanced environment with exposure to many specialized computer applications. Our comprehensive in-house training and ongoing support is of the highest level. We offer competitive compensation and benefits. Siskinds is an equal opportunity employer and will work with and accommodate persons with disabilities throughout the entire recruitment, selection, and on-boarding process. To learn more about us, please visit our website at www.siskinds.com Please email your resume quoting “Business Law Legal Assistant” and “Your Name” in the subject line. Deadline for submissions is Friday, November 16, 2018. We have an opening for a full-time Intermediate Legal Assistant in our Family Law Group. The main responsibilities for this role include: transcribing dictation input lawyer’s dockets answering the phone and handling cold calls scheduling appointments opening and closing files, conducting conflict searches organizing retainer and privacy documents detailed file organization, paper and electronic filing maintain lawyer’s calendar and an effective bring forward system preparation of accounts, deposit of cash receipts, payment of invoices drafting correspondence to clients and lawyers setting up teleconferences, case conferences and settlement conferences issuing Orders updating Continuing Records and Motion Records serving and filing all documents in connection with family court proceedings Extensive knowledge of DivorceMate is required for this position. The ideal candidate for this position will demonstrate excellent organization, verbal and written communication skills, and be able to work independently, as well as in a fast-paced team environment. If you are interested in this position, please provide an updated resume by November 16, 2018 . In accordance with the Accessibility for Ontarians with Disabilities Act, 2005 and the Integrated Accessibility Standards, Ontario Regulation 191/11, accommodations are available, upon request, to support potential applicants with disabilities throughout the recruitment, assessment and selection process. Should you require accommodation in order to fully participate in the process please contact us regarding accessibility in our London office. Lerners LLP is committed to diversity and inclusion in its workplace and encourages participation from all qualified applicants without discrimination. Associate Lawyer – Class Actions Harrison Pensa is seeking an Associate Lawyer to join our Class Actions Practice Group. The ideal candidate will have 3 to 5 years’ of litigation experience, preferably class-action related, and be a collaborative, highly organized, detail oriented team player. The successful candidate will be an individual who exhibits initiative and who thrives in a high volume, fast-paced environment. The lawyers of Harrison Pensa’s Class Actions Group share three core beliefs: Those who have caused harm to others should be held accountable by the law; The price of seeking accountability through the justice system is often too high; and No one should ever be denied justice because they lack the resources to obtain it. These principles form the backbone of our mission as one of the most respected, and socially aware class actions practice groups in Canada. This is a great opportunity to work with expert and highly regarded practitioners on exciting and complex matters. 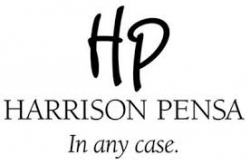 Harrison Pensa is a full-service law firm based in London, Ontario, with expertise in business law, litigation and personal legal services including family, wills and estate, and personal injury law. Personal and business clients throughout southwestern Ontario, across Canada and internationally turn to us every day for our proven skills and trusted counsel. London, Ontario is a great place to live. Located in the heart of Southwestern Ontario, London has the benefit of affordable housing, easy commutes and a variety of entertainment and shopping…all the amenities of the big city without the challenges. For more information about our firm, please visit our website at: www.harrisonpensa.com We encourage applications from persons with disabilities and will provide support throughout the recruitment process, including accommodation that takes into account an applicant’s accessibility needs. While all submissions are appreciated, only those candidates selected for an interview will be contacted. All applications will be held in strictest confidence. Employment Responsibilities Must be able to do things like: Preparing written reports/submissions on behalf of Clients Researching laws and past judicial decisions Analyzing and organizing research and information Must be able to conduct a thorough Case Review and provide Appeal Opinion in a timely manner depending on the complexity of the case and the needs of the Client Liaise with Clients Ensuring that Appeal timeframes are met Some travel is required for this position Windley Ely is looking to recruit an Appeals Specialist to represent the interests of our Clients at Workers’ Compensation Boards and Appeal Tribunals throughout Canada. WE is a leading Canadian Workers’ Compensation and Occupational Health and Safety services firm. Our team combines decades of experience in workers’ compensation and occupational health and safety with the knowledge, resources and services, to identify workplace injury cost saving opportunities and implement workplace injury cost saving strategies. WE create a competitive advantage for our customers by lowering operating expenses associated with workers’ compensation premiums and penalties. This is a permanent full time position. Salary is negotiable and commensurate with experience and qualifications. Windley Ely is committed to championing accessibility, diversity and equal opportunities. You can be confident that our recruitment and hiring processes will be modified, if requested, provided the applicant has met Bona-Fide requirements for the open position. If contacted, applicants must make any accommodation needs known in advance. Please contact Human Resources for more information.